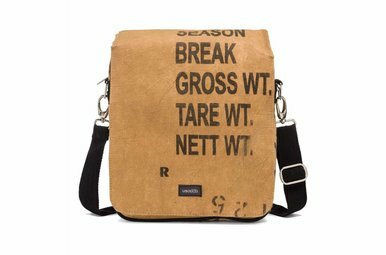 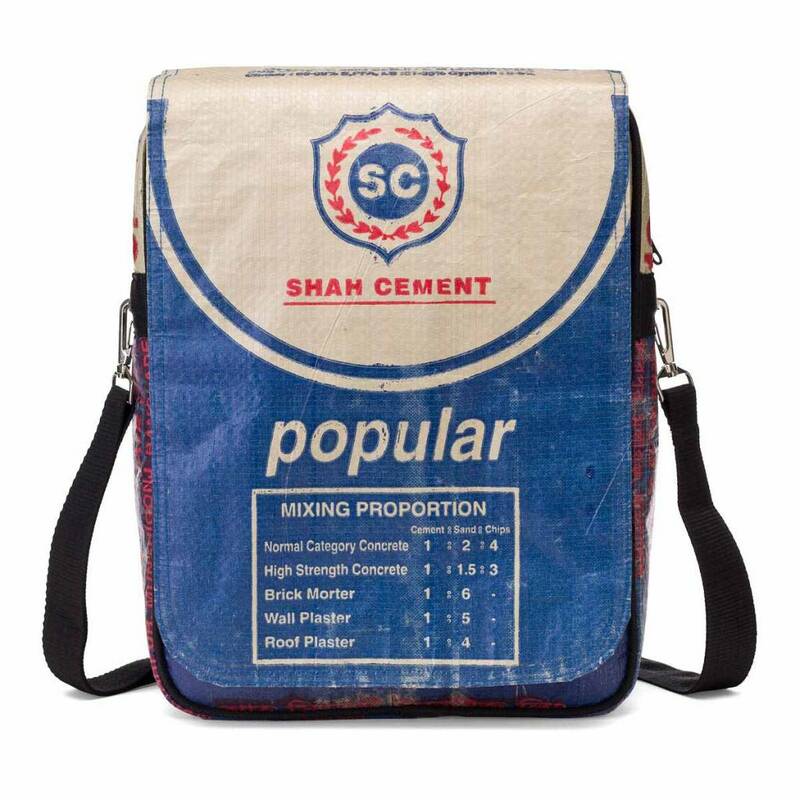 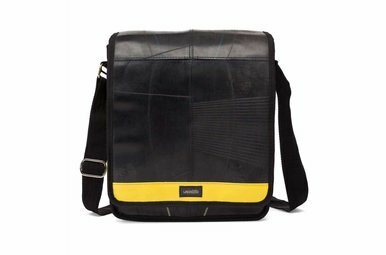 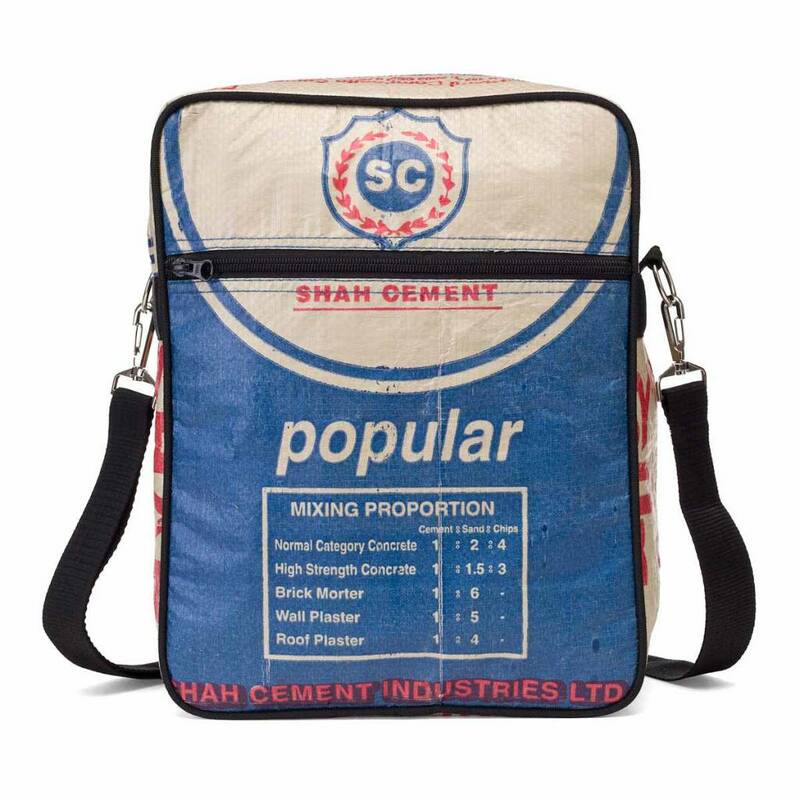 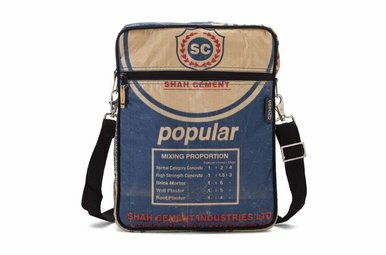 Cool upcycled flap over messenger bag made from discarded cement packaging featuring an adaptable shoulder strap, separate inner pockets,quick access front pocket keeps the things you use the most close at hand. 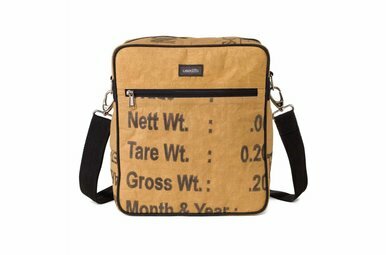 Multiple pockets and zip fastening garantee easily and secure storing and organizing your essentials. 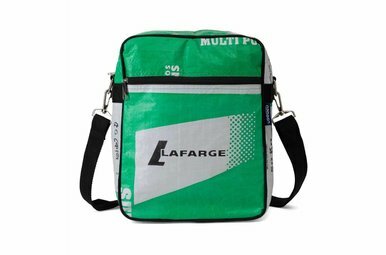 Upon lifting the fold over flap a multitude of convenient compartments can be found inside. 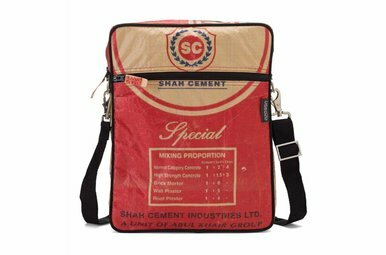 Main compartment of this upcycled cement bag has separated inner pockets that offer the perfect place to stash your keys, sunglasses and cell phone, while the convenient zippered front pocket offers easy access to essentials on the go. 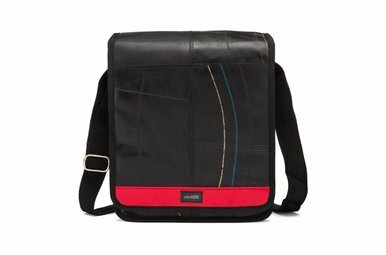 Lifting the flap, reveals a YKK zipper pocket while a secret zipper pocket on the back can be accessed without opening the flap, allowing quick and easy access to essentials on the go and keeping your valuables safe. 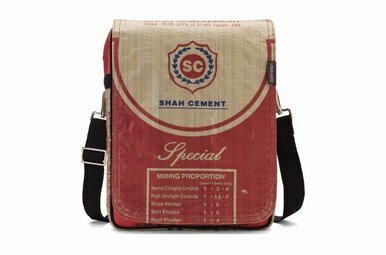 Complete with adjustable extra long shoulder strap adjustable strap and top handles ensure effortless transporting.